Samsung has officially released it's premium new tablet, the Galaxy Tab S4 in the UAE. 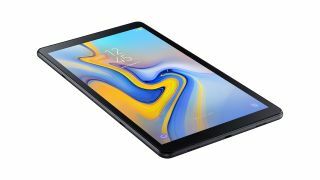 Sporting a 10.5-inch display, a 7,300mAh battery with fast charging and four-speaker Dolby Atmos sound system, the Galaxy Tab S4 is taking an aim at Apple's iPad Pro. The new 2-in-1 Android tablet is designed for people who want to do more on the go with support for LTE, and, Samsung's DeX and S Pen technologies with the optional Book Cover Keyboard. The beautiful 10.5-inch AMOLED display has a 2,560 x 1,600 pixel resolution and can be connected to an external monitor with a compatible HDMI to USB-C multi-port adapter. When connected, the Galaxy Tab S4 can serve as a track pad or a sketch pad. Other specs include 4GB RAM, the octa-core Snapdragon 835 processor and 64GB onboard storage. Cameras include a 13MP rear camera and a front-facing 8MP snapper. The Samsung Galaxy Tab S4 is available across major retailers and Samsung Brand Stores in the UAE, at AED 2699 for the Tab S4, Wifi version and AED 2,899 for the Tab S4, LTE version.